Lisa Jurado has more than 25 years of experience in healthcare public relations and marketing. She has been with Kevin/Ross since our founding and is a key member of our account services team. From research, analytics and database management, to copy editing, event planning and vendor relations, Lisa’s work helps ensure our PR programs have maximum impact and our clients reach their target audiences. She has worked in many sectors, including nonprofit, for-profit, B2B and B2C. Lisa’s career began at CareAmerica Health Plans where she was involved in advertising, event planning, community relations, and project management. She has also worked in collateral development and commercial production and has lead focus groups as well as product demonstrations. 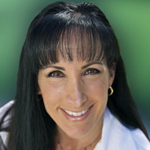 Lisa holds a Bachelor of Science in business management and four certifications in the fitness industry. She is passionate about health and fitness and regularly teaches group exercises classes at a local health club.